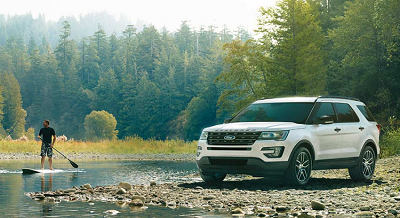 The 2016 Ford Explorer in El Paso is created for drivers with a knack for adventure but with a flair for style and comfort. If you consult with a Ford dealer in El Paso, he can show you all the perks you can enjoy in this SUV. The base or standard trim has 18-inch wheels with a tow capacity of up to 5,000 lbs. More feature-rich trims are the XLT, Sport, Limited, and Platinum, which all come in front wheel drive or all-wheel drive and with attractive 20-inch wheels. The Platinum trim offers executive class comforts with the quilted leather upholstery and aluminum and wood details on the interior. This entry was posted in Business on October 9, 2016 by Domingo.